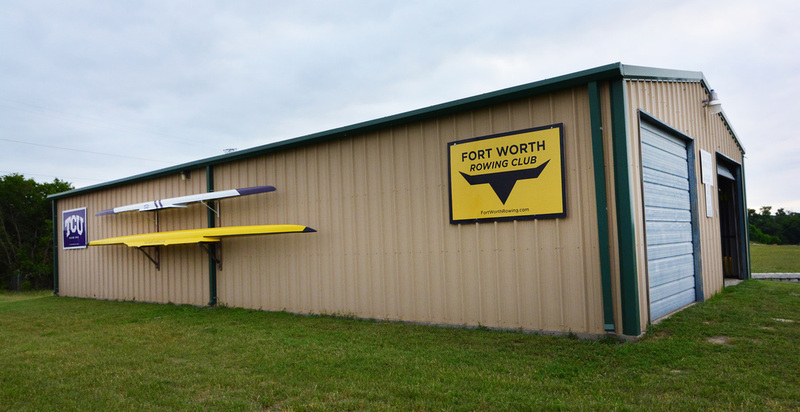 Fort Worth Rowing Club equipment consists of recreational single sculls, intermediate sculls, elite single sculls, recreational double sculls, elite double sculls and quadruple sculls. The club equipment is clearly identified and separated from the private boats and oars of members stored on-site. ​The Club is governed by an executive committee that includes committee chairman for Membership, Activities, Boathouse, Treasurer, Vice President and President. These officers are elected each year at the Annual Meeting and are listed on our Contact page. Experienced rowers wishing to join or row with the Club should contact the Membership Chairman or the Boathouse Manager. All members must have a signed FWRC Waiver as well as a US Rowing Waivers on file with the Membership Chairman. A full-time student may initiate membership for any of the three semesters (Spring/Summer/Fall). Enjoys club boat privileges when the membership is in force, and continuity of membership is not required. This is a non-voting membership. Fees for boat storage are based on boat seats. Storage of more than one boat requires only one membership; Membership + storage boat #1 + storage boat #2. Boat storage is intended for rowing/sculling boats. Any other storage has lower priority than rowing/sculling boats and will be reviewed on an annual basis. In addition to storage fees, owners must have a completed FWRC Boat Agreement on file. Download a copy of the form, complete the information and return to Boathouse Manager, Geoff Sipple. ​* Family members must live in the same household, under the same roof. Maximum of $400 for families. ** Membership begins in April and is reduced through the year. If you are a member during a particular year, your membership for the following year starts in April and membership dues must be paid within a 30 day period. Delayed membership is available for new members only or following a full inactive year. Voting members at the Annual Meeting in January must be members for six months or longer. ​Delayed membership dues and storage fees are calculated assuming no reduction for, April, May and June; 90% of April costs for July; 80% of April costs for August; etc., to March which will have 10% of April costs. ** Membership begins in April and is reduced through the year. If you are a member during a particular year, your membership for the following year starts in April and membership dues must be paid within a 30 day period. A delayed membership is available for new members only or following a full inactive year.